Rocket League released its latest update, version 1.45. The update is now available on PlayStation 4, Steam and Switch. It will be coming to Xbox One soon. The latest Rocket League update is being dubbed the “Salty Shores” update as it adds the new arena: Salty Shores. Fans of Rocket League have to be excited for this update as it not only adds a new arena, but it also marks the end of the seventh season and the beginning of the eighth. That means eligible players will be receiving their updated banners and goal explosions. In fact, there are so many new updates and changes to different areas of the game that we truly can’t list them all. You can view the full list of the Salty Shores Update Notes on the Rocket League site. Highlights of the update include updates to content, such as the new arena, bug fixes and improvements to general gameplay. These fixes will undoubtedly be welcomed by Rocket League fans everywhere. More, possibly less significant, updates and improvements to the game include improved game loading, especially on the PS4 console. This will prevent PS4 users from experiencing a 5-10 second stutter at the beginning of races. 🚀The Salty Shores Update (v1.45) is now LIVE on Steam, PS4 and Switch! 🚀Update will be available on Xbox One momentarily! To round out the biggest updates and improvements to Rocket League, the new ‘Impact’ crate has been added to the game. 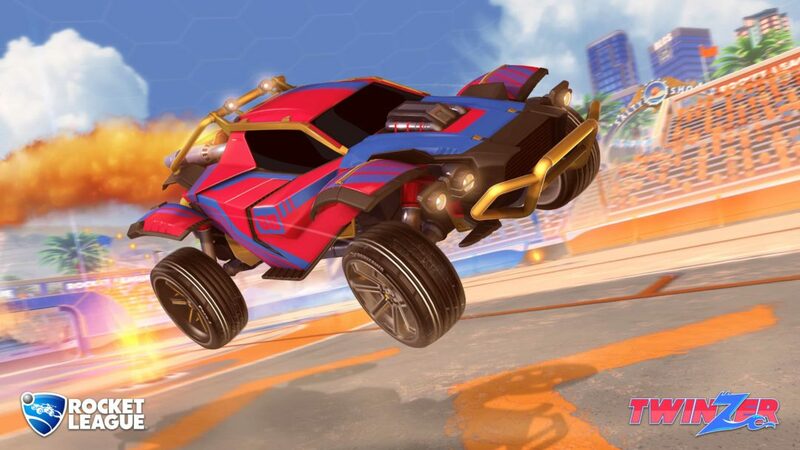 Couple this with the new season, the new arena and the bug fixes, and the latest Rocket League update carries a great deal of significance with it. Want more news and notes from around the world of Rocket League gaming? Be sure to stay tuned to Sports Gamers Online for all the latest on the popular title Rocket League.